What is the purpose of this metal piece? It blocks the view through the key change hole, but its shape is so elaborate that this can't be the only purpose. I don't think the model number is correct on that lock. I don't know what the purpose of the plate is but when the bolt is extended the lever raises up and takes the plate with it, which would unblock the CKH. Now that I think about it that might not be the correct dial and ring for that lock. It could be that it is a zero change lock. When you put the change key in the wheel pack the key prevents the lever from falling into the drive cam and screwing up the change. mdc5150 wrote: I don't think the model number is correct on that lock. 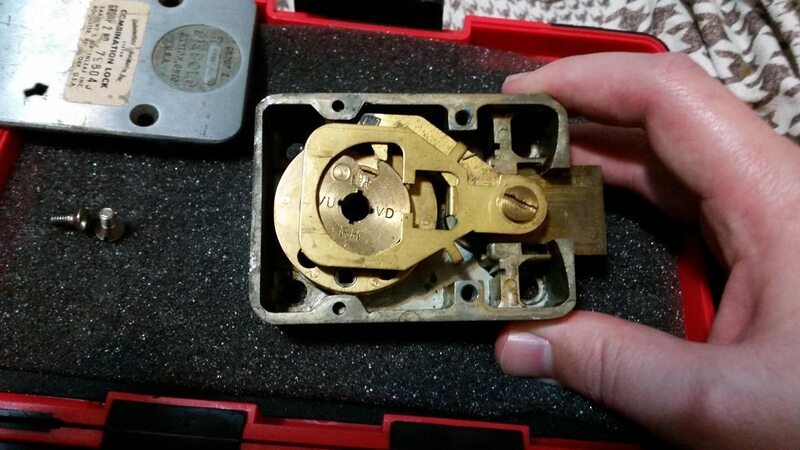 There was a post on LP101 quite a few years back about this type of lock. It was marked Diebold. Can't remember the details or find the post but IIRC the plate was to keep the lever up when the change key was inserted. 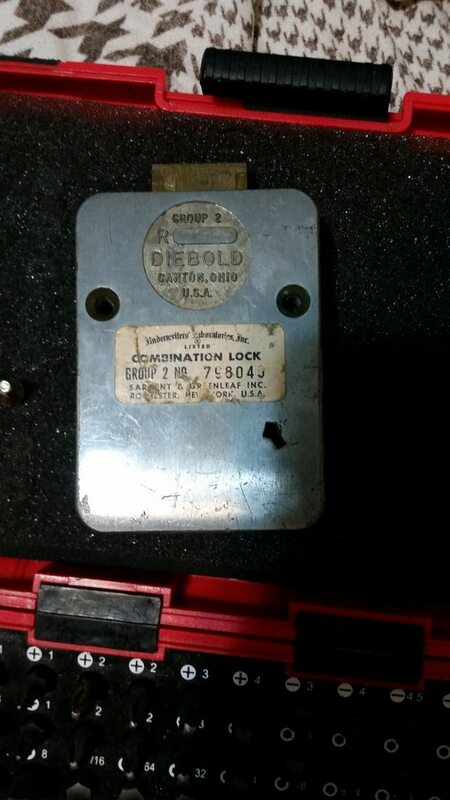 I have one marked Diebold but it was made by S&G. It has their case style and where the model number usually is it is marked Diebold but the old UL sticker says S&G. No dial for it unfortunately. Thank's Riyame. That is a nice feature. Hi Riyame, If you're referring to a post of mine on LP101, in that case the plate covered the change hole, preventing a user to change the combination. To change it you have to remove the back cover, but then you have to break the seals, leaving evidence that you did it. Does it block access to the ckh when the bolt is extended? or just when retracted? femurat wrote: Hi Riyame, If you're referring to a post of mine on LP101, in that case the plate covered the change hole, preventing a user to change the combination. To change it you have to remove the back cover, but then you have to break the seals, leaving evidence that you did it. Not your post, this was some other guy looking for info on his lock in the USA. On this one it only blocks the CK when the lever drops. safecracker33 wrote: Does it block access to the ckh when the bolt is extended? or just when retracted? It only blocks access once the lever drops. It only allows access when the lever is up. As I said in my post, I believe we found the use of the plate was to hold up the lever when changing the combination by riding on the change key. I know the one in the auction and mine works the way I mentioned. When a change key is inserted it will not allow the lever to fall down. The change key hole is directly in line when the combination is dialed to the opening index. That means the lever will fall down and needs to be kept up to change the combination. On normal ones the change key hole is offset to the left side of the case because of the change index. Thanks, not unusual enough for me. Someone from Germany, who recently registered here, has one and I tried to get him started to write here something. 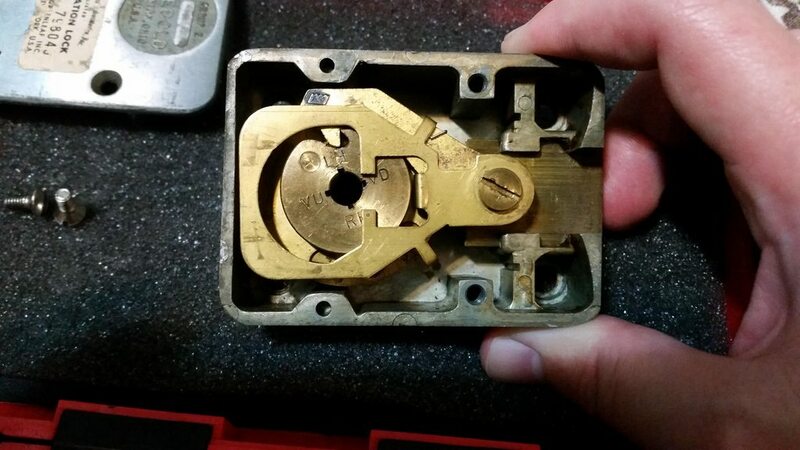 My first thought was that it was for a zero change lock but the fact that the ebay lock had a changing index on the dial threw me, probably not the original dial and ring. Yes, probably not the original. 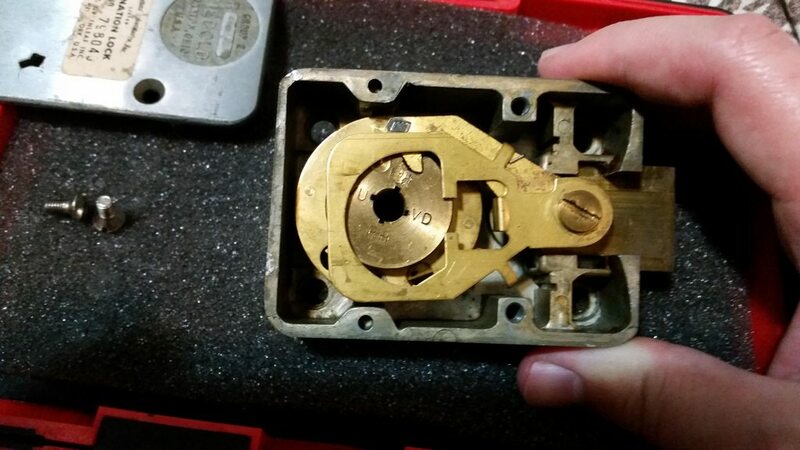 The seller has a second lock which is also a "6720", but looks like a 8410. MartinHewitt wrote: Yes, probably not the original. The seller has a second lock which is also a "6720", but looks like a 8410. The silver dial one? That is a 6700 series. There is no knob in the middle of the dial and the drive cam is normal. It also has a normal case back. He has sold it already. It was with a black dial.